5 Reasons Bedtime Stories are More Important Than You Think – AskSalome! 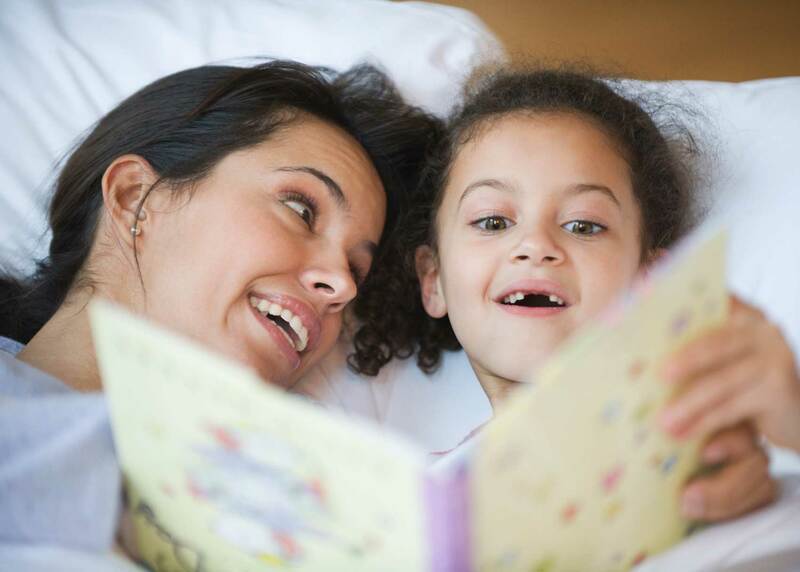 Bedtime stories are a standard part of many bedtime routines, and so they should be! But did you know there are quite a few reasons why this is the case? It was one of the proudest moments of my short career as a mother. My daughter was 6 months old and earlier that week she’d already learned to give a kiss. I mean really, where do you go from there? As we sat and read Go, Dog, Go, she learned to turn the pages of the book. Countless books, countless pages later we are still reading. Often during the day and regularly as part of our bedtime routine. It is a cherished time for our kids and us that we all value. The kids always ask for it and unless we are really strapped for time, it’s the one part of bedtime routine we try not to let slide. For many reasons, I’ll talk about below. Every family is different and there is no cookie cutter mold, but I believe, across the board, these are the benefits of reading with your kids at night. We already know that cuddling is good for our children’s brains. It’s also good for our brains. And our relationship together. Children can sit in your lap, beside you on the chair, or you can even lay in bed with them and read. We often read in my daughter’s room with this jumbo flashlight . You know, cause it makes things more fun. This is a time when my children who aren’t normally big cuddlers without cause will snuggle up, play with my hair, and consent to being tickled for a time. They love both reading and the closeness it brings. Since the hour preceding bedtime is Crazy Town over here, it’s necessary for us to have wind-down routines in place. It’s one of the best ways to get your little ones to go to sleep without fighting, screaming, and refusing. Reading books is an excellent way to help the wind-down. They usually willingly sit still (read this if your kids can’t seem to sit still while reading) and pay attention which is often enough to help their heart rates slow. A parent’s words are very calming to children so the mere fact you are reading – even using silly voices – can help children feel safe. The other day my mother mentioned that my two middle boys don’t greet people well when spoken to. Someone will say “hello” and they’ll stare at them blankly. While they aren’t being “rude” it sort of is rude, and she mentioned I take the time this week to read them a manners book on greetings. We have an entire series on manners so this could work. We’ve done this for issues such as body parts, watching too much TV, why it’s important to eat healthy, and sharing. If I know something is going on with a child I’ll often choose a book that speaks to that issue and then I’ll try to engage them in conversation throughout. A story really gives your children context. If you don’t have a specific book in your home, you can even read a book on your phone or tablet using an app or a website like Scholastic. If you have multiple children at home you know the struggle to find time to spend with your children individually. They want it. You want it. It’s undeniably beneficial, and yet it’s hard to fit in. We do bedtime routines for each child alone. I take two, my husband takes two, and we sort of rotate who gets who depending on the night and which parent the child asks for. This means that if we had a super busy day, there are at least 15+ minutes a day where the child gets a parent’s undivided attention. It may not seem like much, but our kids eat it up. As soon the door closes, the lights dim, and we sit in the chair or lay on the bed calmness starts to reign. Their fidgeting and wiggles start to lessen and they pay attention to what’s happening. Okay, my 2-year-old never fully calms down, but even he lays his head back on my shoulder and gets into the groove. While we will read during other parts of the day, it’s often difficult for the kids to pay attention and concentrate right before a meal (if they’re hungry) or right after an intense play time (when they’re wound up). In our home, the bedtime read is the calmest and most enjoyable.